This build is equipped with a Troy Industries handguard that retails for $209 for just the handguard. This is an amazing deal for this whole build. This 5.56 Assembled Upper Offers Amazing Stopping Power And Accuracy Which Makes It The Perfect Option For An AR Pistol. We’ve Felt That This Amazing Blend Of Attributes Made This Kit Adaptable In Its Use And Ability To Be Used Anywhere Under Every Circumstance. This Build Also Includes A 10.5” 5.56 NATO Barrel From ELD Performance. 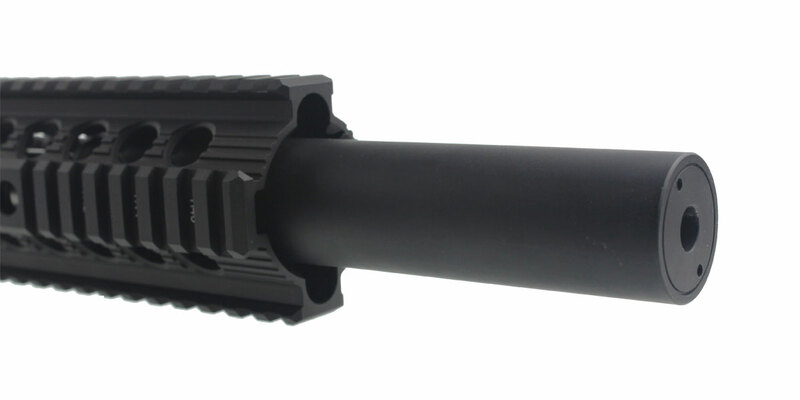 This Barrel Is Made From 416R Stainless Steel And Has A Carbine Length Gas System. This Premium Barrel Also Has A Thread Pitch Of 1/2x28 And A Twist Rate Of 1-7. 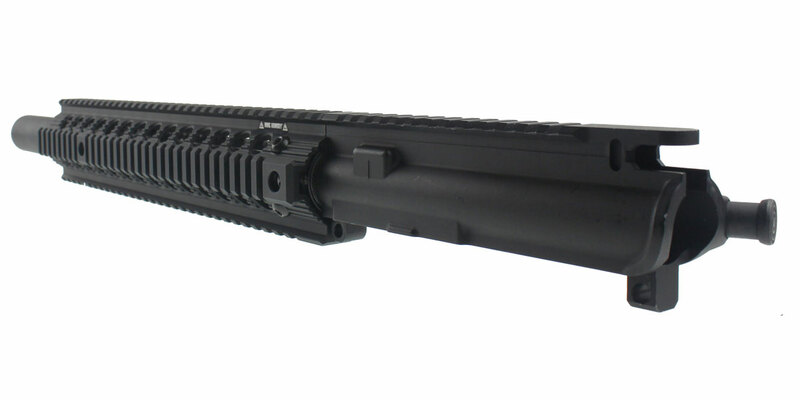 This Build Includes A Troy Industries 13” Bravo Battle Rail. . 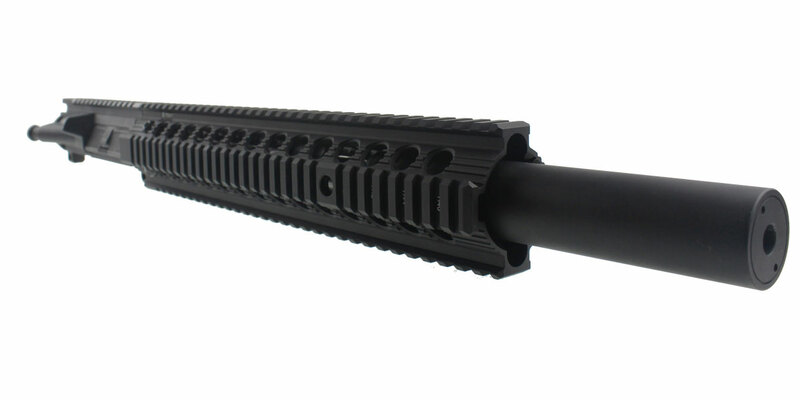 This Handguard Mounts Directly Onto The Standard Factory AR-15 Barrel Nut. Large Circle Ports Help Cool Down And Disperse The Heat From Shooting Allowing It To Run Cooler Than Other Rail Systems. 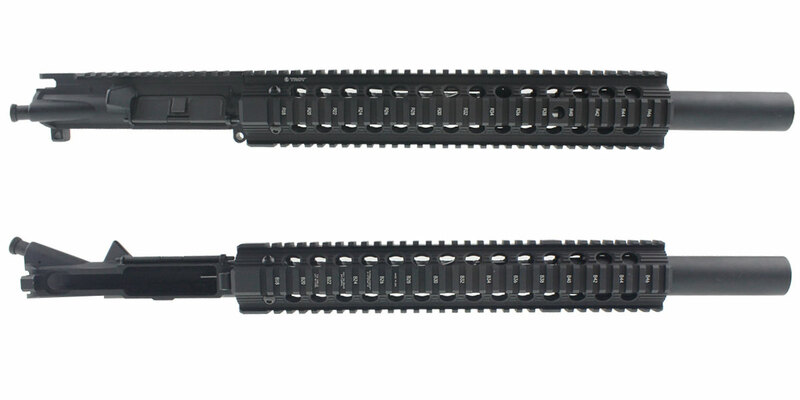 These rails were made by Troy Industries for MMC Armory and they do have a MMC Armory logo engraved on the bottom. The Best-Selling Omega Mfg. Faux Suppressor/Silencer Adding A Great Look To Your Build.